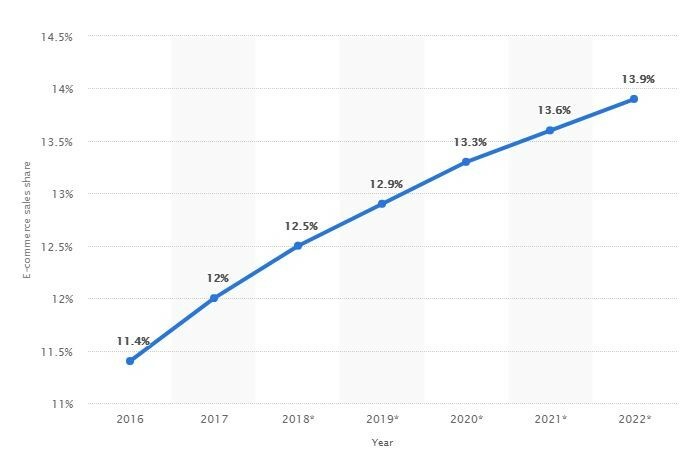 Growth of Furniture and Home Furnishings sales as percentage of total E-commerce sales from Statista. So thining about how to sell rugs and carpet online? Then you’ve got the right idea. Online Home Furnishings sales keep on growing, and Rugs are on the rise. This is most likely due to an increase in sales of hard surface flooring. In fact, According to a 2017 report by FCNews Research, some flooring retailers that once cut down on their rug category are reconsidering its marketability. The only difference is that now they’re using the Internet to push online sales. If you want to get ahead of this trend and sell rugs and carpet online, here are a few steps and tricks to help take you from the realm of just brick, to now brick AND click. This is by far the most important element of launching a store online, regardless of the category. Whether you are selling, rugs, clothing, makeup, software, widgets or anything in between—make sure you find an expert to take this on. Ideally, you should work with a developer or development company that has experience in your particular niche or industry. This will ensure they understand the most important elements to include in developing your website. We suggest building e-commerce websites with Magento. Magento was built specifically for e-commerce and provides a lot of flexibility and opportunity for customization. It also comes out on top in terms of performance, with high page load speeds. 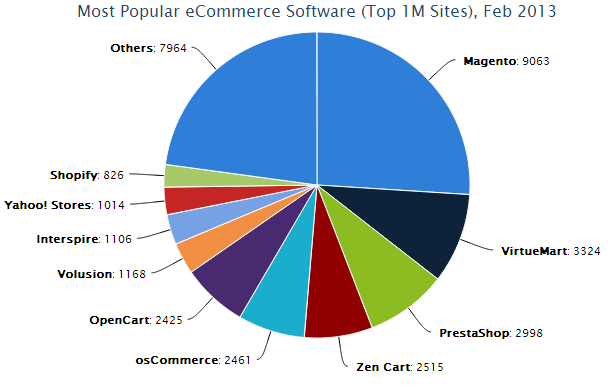 Some of the top brands out there have chosen Magento as their platform of choice, including Samsung, Fort, Fox Connect, Levono, Olympus, Men’s Health, Vizio, Nestle Nespresso and Nike. 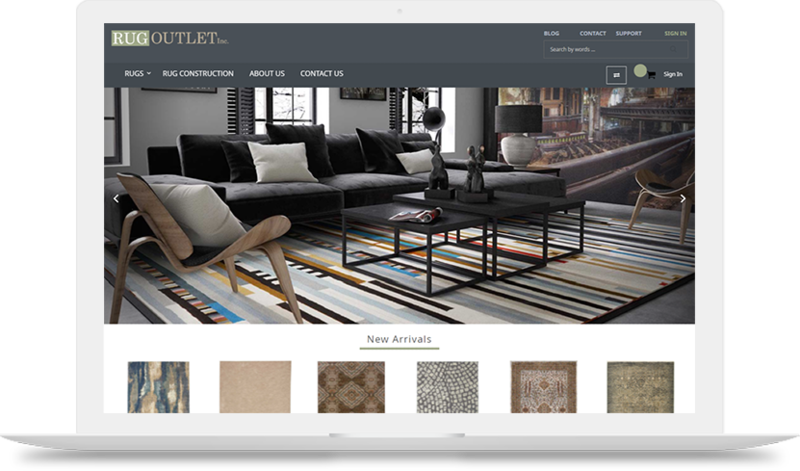 At RM Innovation, we build websites for Rug, Flooring, and Home Furnishings while using the power of the Magento platform. We also take the maintenance out of e-commerce by managing, uploading, and updating all of a retailer’s vendor product data for them. You can learn more about that here. Shipping is important; most customers today have an expectation for either very cheap shipping or very fast shipping (or both). Data shows that customers will exit your site even after adding a product to the cart if the shipping costs are too high. Drop shipping is another option. Drop shipping is when a store doesn’t keep the products it sells in their own warehouse or stock. Instead, when a product is sold, the retailer purchases that product from a distributor. The distributor they purchase from then handles the shipping. There are a lot of great shipping resources out there. Check out this beginners guide from Shopify to learn more. This includes anything you’ll need to actually promote your products online, such as promotional images (the types of images that go on your homepage), your product images and detail shots, copy, and specs. You may want to take your own product photography, or write your own unique titles or descriptions. However, product information is typically sourced from vendors. But BEWARE! Getting this info into an e-commerce platform is no simple task. If you want to sell a decent amount of product s online, you’ll typically receive spreadsheet after spreadsheet of product data. It’s then on you to standardize this data and load it into your platform. For more information on how we’ve eliminated this timely process for retailers, you can check out our Datalink page. Just like merchandising your brick-and-mortar store, thought needs to go into deciding what to showcase online as well. Start with this question: what should be on your homepage? Think of your home page as the new window display. Your goal for the store is to get them to come inside, your goal for the website is to get them to click through. Consider putting your best sellers, top brands, and hottest new styles for this prime homepage real estate. And of course, if you’re running a special promotion, this should be the first thing visitors see when they land on your website. How will you market your new e-commerce store? This is a vital question and you need to put a game plan in place ahead of time (not as an afterthought!). Not only should you update any current marketing materials with your new URL, but you’ll need to start thinking about digital marketing if this is not an avenue you are already pursuing. And before your site even launches is the time to build suspense. Start spreading the word that you’ll be launching an online store—send out emails and promote on social media. You can build a social media following before your website is even live. A website without analytics is essentially a black box. How do you know what’s going on in there? Sure, you may be able to see if your website is getting sales or not (which is pretty important) but you have no way of getting any further insights. If you want to sell rugs and carpet online, then you need to keep an eye on how users are interacting with your website. Analytics help you understand website traffic, who your site visitors are, bounce rate, which pages they spend time on, and more. Google analytics is still the most popular website analytics tool out on the market. And it’s free! Make sure you install analytics on your website so that you have full visibility on your site’s performance. This step cannot be skipped. A good developer will of course do a thorough QA test of your website before deeming it ready to launch. But no person or process is perfect. Spend some time on your new website pretending you’re the customer. Look around on the home page, click through the links, and ensure customers can place orders with ease. Take notes and provide feedback to ensure your user experience is top notch. You’ve got the website ready, you have a marketing plan in place, and you’ve been building suspense about your new e-commerce store. It’s time to go live! Make sure you put some dollars behind your big announcement. Email current customers, create a press release, and promote on social media. Also consider offering a special launch promotion, perhaps something like 20% off your first purchase, or a free item for the first so many customers. There you have it—a list to help guide you in taking your brick into click. If you have any questions on how to sell rugs and carpet online, or just about e-commerce in general, you can you can ask our team here or leave your question in the comments.